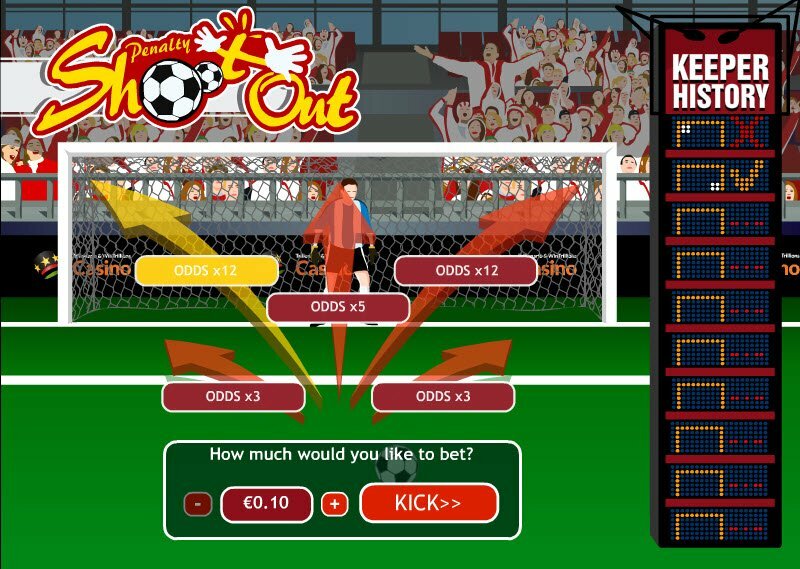 This casino game puts every football fan on the front line, and gives you the chance to score as many goals as possible. Not just that, but with great multipliers, you can really win a lot of money, depending on how much you like to wager. He shoots, he scores. The crowd goes wild. And if you have wagered on the Penalty Shootout game, it won’t just be your fancy footwork that pays off. Playtech does it again, and this time with a sports centric game that anyone who likes a game of footie is bound to adore. Have you ever wished you could take that penalty shot for England? Or scorned one of the team for messing up the penalty shootout, costing us the game? Well, with the Penalty Shootout game you will be in the position to pay homage to your ball skills on the pitch where it matters - getting goals. You can bet between 10 cents and $100 a kick, depending on your level of confidence against the goalie. Any injuries you may have or delicate hamstrings won't matter here though! 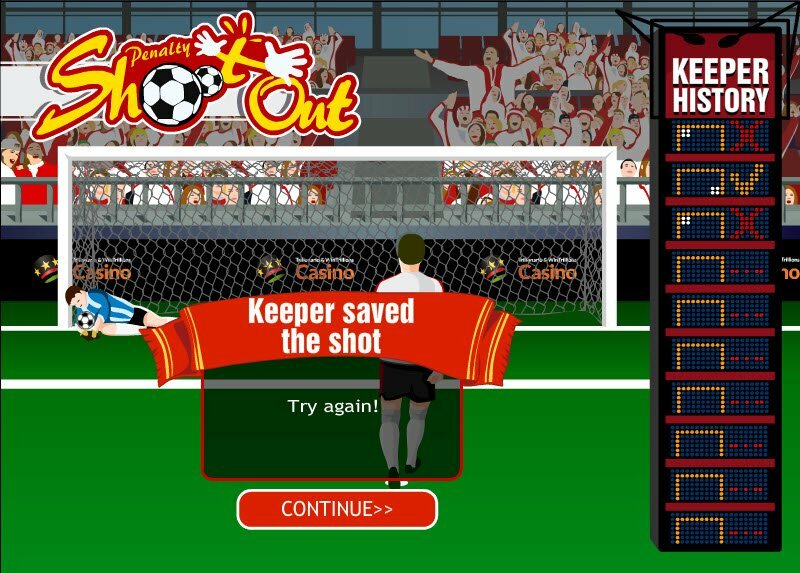 Once again, there are no actual slots in Playtech's Penalty Shootout Casino Game, but the concept is extremely simple, and very playable indeed. 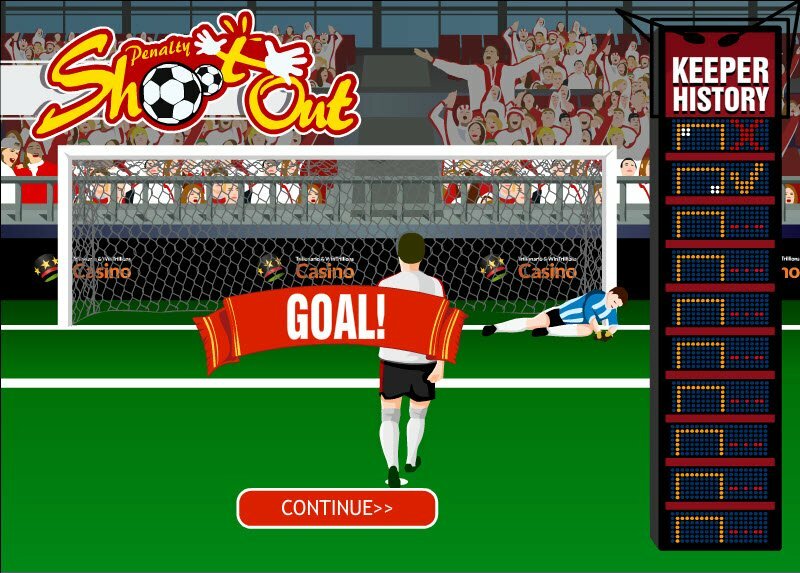 There are five different angles you can take to get your Penalty Shootout Bonus goal, straight, top right, top left, bottom right and bottom left. Each option has different odds, which is the footie term for multipliers for your wagering or betting amount. There's a x3, x5 and x12 multiplier available, depending on how difficult the shot is. The keeper will either save the shot, or you will manage to get the shot past him and win. There's a history board to show you the odds on your next shot, as it keeps track of the previous six plays for you. Simple as only simple can be, unless of course you are not from the UK, and think that you need to use your hands in football to get a goal!